Location: Sierra Navada de Santa Marta, Colombia. 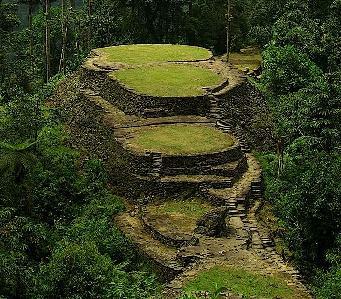 Grid Reference: 11.038° N, 73.92° W.
Ciudad Perdida: (The 'Lost Citadel'). 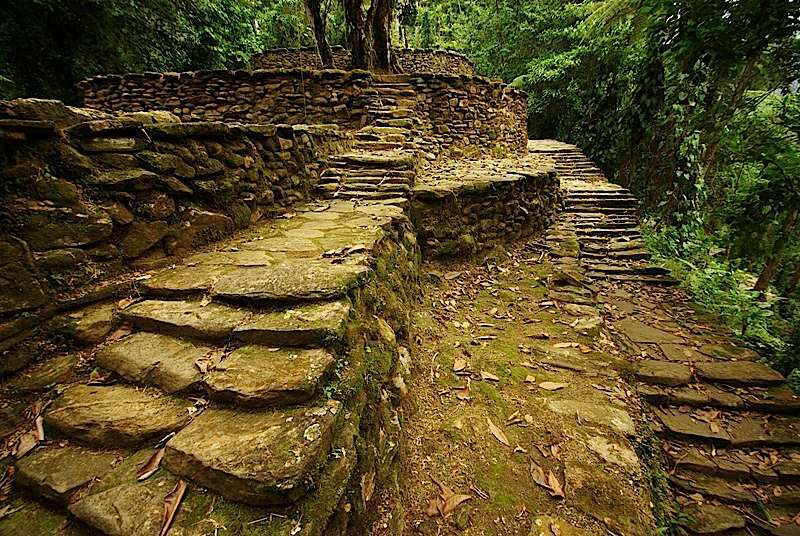 Ciudad Perdida was discovered in 1972 when group of local treasure looters found a series of stone steps rising up the mountainside and followed them to an abandoned city. They named it "Green Hell". When its gold figurines and ceramic urns begun to appear in the local black market, authorities revealed the site in 1975. Members of local tribes - the Arhuaco, the Kogi and the Assario - have stated that they had visited it regularly but kept quiet about it. To them is it Teyuna, the heart of a network of villages inhabited by their forebears, the Tairona. It was probably the region's political and manufacturing center on the Buritaca River and may have housed 2000 - 8000 people. It was apparently abandoned during the Spanish conquest. It is believed that there are many other undiscovered ruins scattered throughout this region of Colombia. Photo Gallery: La Ciudad Perdida. This stone is believed to have a map of the region carved on its face.